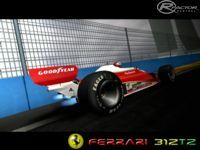 The Ferrari 312T was a Ferrari Formula One car design, based on the 312B3 from 1974. In various versions, it was used from 1975 until 1980. It was designed by Mauro Forghieri for the 1975 season and was an uncomplicated and clean design, that responded to mechanical upgrades. Nice post,i like your article,great way of explanation.Looking for more articles like this, Also check my websit https://happy-wheels.io Thank you! Thanks for sharing, try playing happy wheels game. Looking forward to this great sounding Mod! Thanks for making it just the way it is. oooh! aaah! How far back to you planning on going with this project?